Sail the Legendary Rivers of the World! Stunningly beautiful, quaint as ever, and undeniably luxurious with countless up-close and personal navigations are just a few ways to describe the river cruising experience. It’s time to add river cruising to your bucket list, or to cross it off! With our Legendary Rivers Sale back this April 22 – May 10, there’s no time like now to start planning a unique vacation filled with exploration, relaxation, and breath-taking moments. The most exquisite destinations are waiting to be explored by you aboard the finest small ships – sail through the riveting rivers alongside majestic safari animals in Africa and explore the quaint Cape Town, glide through the exotic Mekong River through Cambodia and Vietnam and admire the most surreal surroundings, or wind through the rivers that take you between the most historic cities in Europe. When you sail with AmaWaterways, you’ll experience the luxury of more – more ways to discover, more ways to indulge, and more onboard amenities. Most of AmaWaterways’ staterooms feature not one, but two private balconies so you can experience the world’s greatest waterways more up-close than ever. Never lose sight of the beautiful destination that you’ve been waiting to see! Wherever you choose to sail, immerse yourself in the destination with an abundance of shore excursions that AmaWaterways has to offer – see all the famous landmarks, hop on a beer tasting tour, bike alongside enchanting riverside pathways, or explore the small peaceful villages that are rich in history and culture – all included in your cruise fare. Contact your Vacation Consultant today to plan your next luxurious river adventure with AmaWaterways! Avalon Waterways wants to make you feel at home – but better. Avalon’s fleet of small ships offer one-of-a-kind Panorama SuitesSM, meaning wall-to-wall and floor-to-ceiling windows, the warmest and friendliest service, and desirable amenities. Watch the riverside scenery change in front of you as you indulge in the Avalon experience. Avalon also specializes in creating custom experiences tailored to you. Experience Avalon ‘Your Way’ that allows you to stay in cities that capture your heart most – whether it’s Brussels that gives you a particular feeling, or Vienna that absolutely dazzles you – allow yourself to stay in a place that feels like a fairytale a while longer. 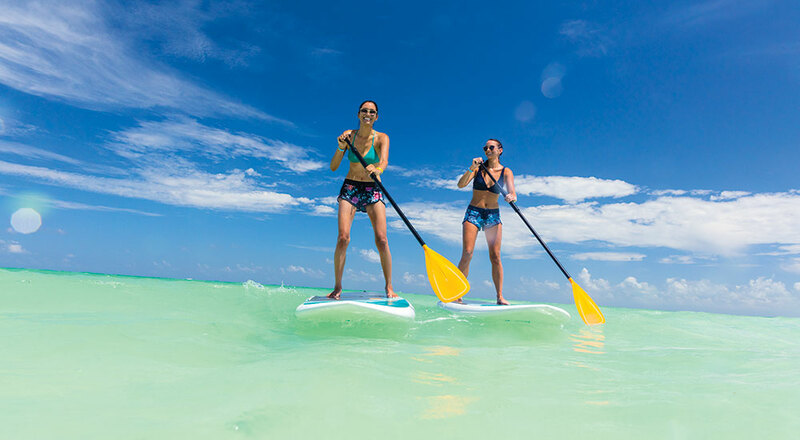 Explore exotic destinations your way – from Classic to Discovery, to Active selections of optional excursions – get ready to feed your interests, passions, and moods like no tomorrow. Reimagine luxury river cruising with Crystal River Cruises. Step onto a stunning ship with walls of glass, balconies, skylights, and large windows to ensure that riverscapes are always an intrinsic part of the journey. Crystal specializes in European river cruising - with over 17 awards, over 500 voyages sailed and 500 more awaiting you to prove it - a grand adventure is calling your name. With extended stays in ports, curated destination experiences, a Signature Event, and exceptional all-inclusive amenities and services, your European voyage is bound to be unforgettable. Your experience will also be topped off with six-star European service, Michelin-inspired dining, and inspiriting onboard entertainment. Crystal River Cruises does river cruising like no other. The Emerald-class river cruising experience offers impeccable value. Emerald Waterways goes above and beyond to make sure your cruise trip is comprehensive; every vacation is packed with all-inclusive extras and itineraries that are designed to bring you closer to the heart of local life. The EmeraldPLUS experience brings you to discover hidden gems, local favorites, and rare insights to give you an authentic taste of the local culture. Make the most out of your exploration with the EmeraldACTIVE programme of excursions that are packed with exciting adventures like guided hikes to historic castles, cycling adventures, and ventures on a canoe! Get ready to feel inspired by something new every day aboard Emerald Waterways. Contact your Vacation Consultant today to set sail with Emerald Waterways! 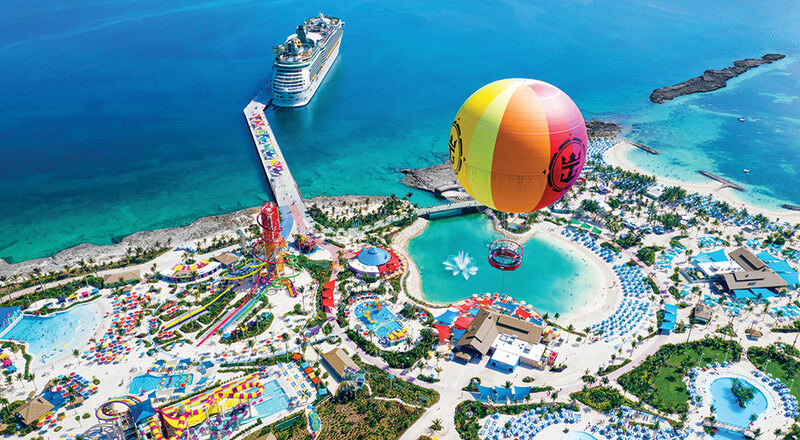 Scenic’s definition of all-inclusive goes beyond what you would expect. Step onboard and you’ll feel the difference – a personal butler to cater to all your needs, exceptional fine dining, complimentary top shelf beverages throughout your trip, extraordinary entertainment, no extra tipping, and Tailormade guided tours to let you explore further than ever – your every need, interest, desire is their own. Scenic specializes in luxury – indulge in the ambience of a 5-start hotel as you cruise the waterways of Europe and Asia. Want to see more of the beautiful riverscape? Simply press a button and your balcony will seamlessly turn into a Scenic Sun Lounge. With your own private open-air balcony, you’ll never miss a minute of the wonderful scenery. Contact your Vacation Consultant today to plan your next unparalleled voyage with Scenic! See the world and hop onboard a unique river cruising experience with Uniworld Boutique River Cruise Collection. 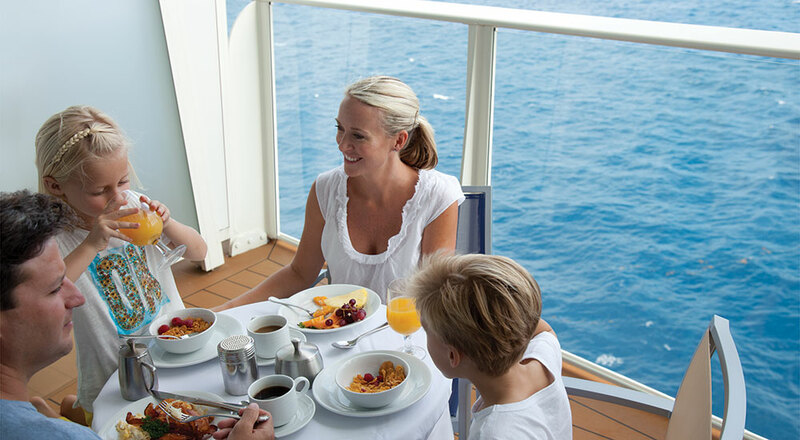 Uniworld goes above and beyond to make sure your cruise trip is unforgettable. You’ll notice it as you open the door to your exceptionally appointed stateroom that boasts grand decor, indulge in an absolutely delightful dish prepared by a master chef, or take advantage of the Wellness on Water programs to relax your body, mind, and soul. Uniworld believes the difference comes from details - personalized service, in-suite butlers, and luxury amenities – all build towards an unparalleled experience. Contact your Vacation Consultant today to start planning your next adventure with Uniworld. 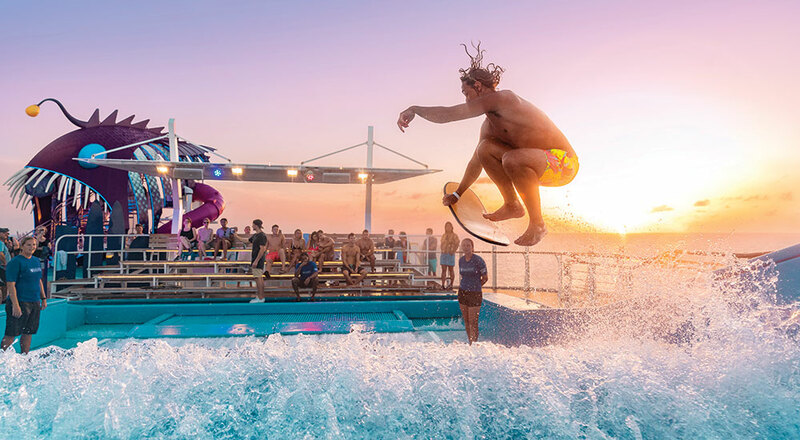 The award-winning Viking experience sets itself apart from the rest of the industry through its Local Life, Working World, and Privileged Access® experiences. Local Life immerses you into the daily life of the locals in your destination. Imagine visiting a Russian home in a quaint town, refueling with a culinary tour in Budapest, or meet the bright minds of tomorrow at a Viking-sponsored elementary school in China. Working World gives you a glimpse of the inner workings of local windmills, wineries, and hunting to get a taste of the passions that drive each destination. Privileged Access is the cherry-on-top of your experience. Get exclusive access to world-class museums, attend inspiring performances of folklore, ballet, and opera. Viking River Cruises has an enriching travel experience waiting for you to hop on! Contact your Vacation Consultant today to start planning your next adventure with Viking River Cruises. Don’t miss your chance to take advantage of our exceptional Expedia® Extras, and set sail onboard one of these amazing cruise lines during our Legendary Rivers Sale! Contact your Vacation Consultant to start planning today! Learn All About Dining Onboard American Queen Steamboat Company, and more!